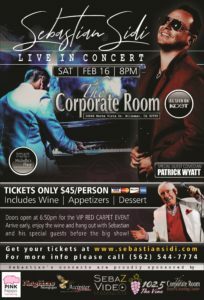 Temecula Chamber of Commerce | Sebastian Sidi LIVE in concert!! Sebastian Sidi LIVE in concert!! 09 Nov Sebastian Sidi LIVE in concert! !